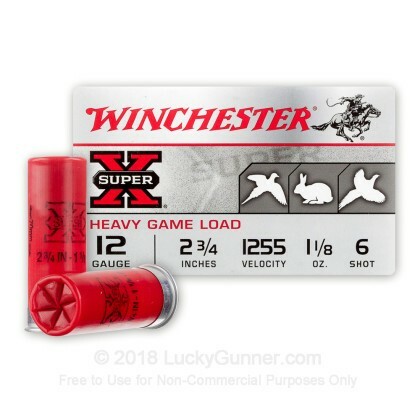 These 12 gauge shotshell loads from Winchester deliver cost-effective performance for both small game and upland bird hunting. This case of 250 shells is perfect for extended range sessions and frequent hunting; each case contains 10 boxes of 25 cartridges each. 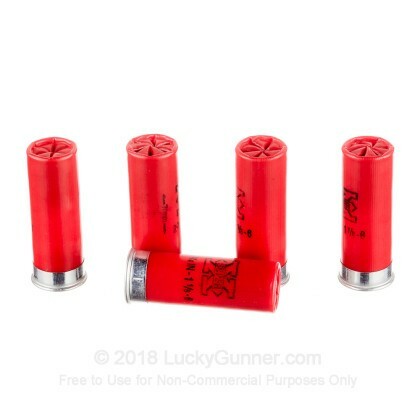 Each shell in this case of 250 fires a 1-1/8 oz. payload of #6 birdshot at a muzzle velocity of 1,255 feet per second. It produces relatively mild recoil and good patterns at close to medium range. 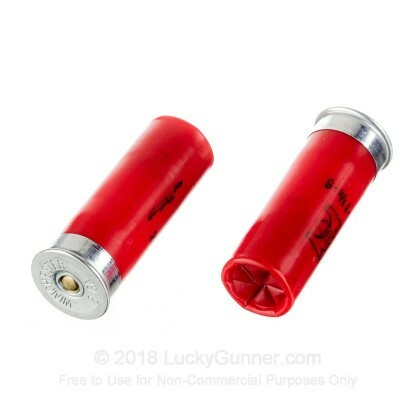 While this ammunition is more powerful than birdshot loads used for shooting clays, it lacks the penetration needed to stop a human assailant reliably. 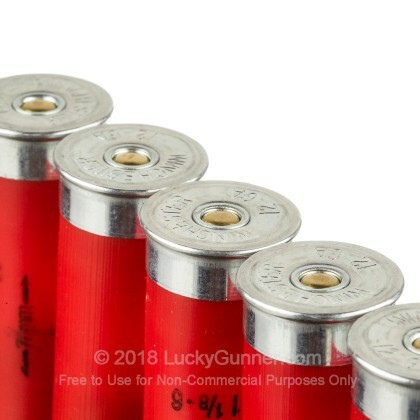 Check out our selection of buckshot for home defense. 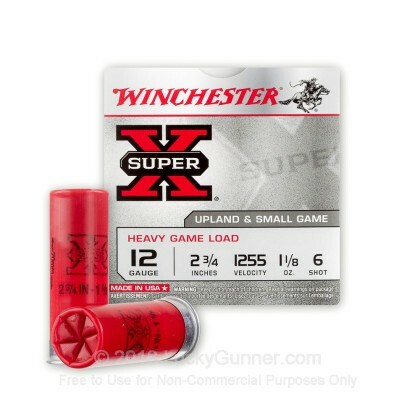 Winchester Super-X shotshells are loaded in Oxford, Mississippi using 209 primers, clean-burning propellants, and one piece hinged wads that help manage recoil and patterning. 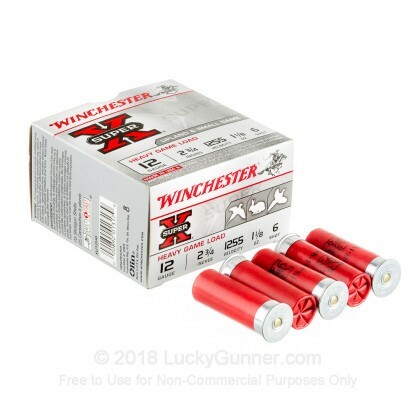 We also have this 12 Gauge - 2-3/4" #6 Shot - Winchester Super-X Heavy Game Load - 25 Rounds ammo in stock in a smaller quantity.